The ‘Holy Fire’ is still only 5% contained. THE MAN SUSPECTED of starting one of the massive wild fires raging in California was to appear in court today and could face life in prison if eventually convicted of arson and other charges. 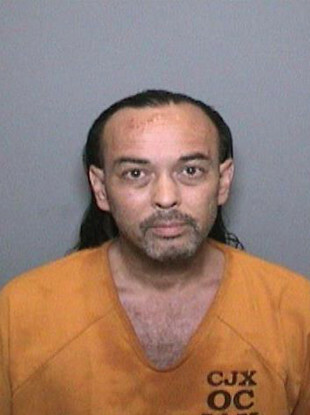 Forrest Gordon Clark, 51, stands accused of starting the Holy fire, which in four days has burned more than 18,000 acres of Cleveland National Forest 100 kilometers north of San Diego. The charge sheet states that Clark deliberately started the fire, which is still only 5% contained, with the intention of causing damage to others and burning a forest. A dozen properties have so far been razed by the blaze. He has also been charged with threatening neighbors – one of whom lost his cabin in the fire – and resisting arrest. He faces sentences ranging from 10 years to life imprisonment. He had been scheduled to appear before the court yesterday but refused to leave his jail cell. The hearing was postponed for a day. The head of the Orange Country team fighting the Holy fire said the blaze started near Clark’s cabin in Jim Canyon. Before his arrest, Clark told a reporter he had been asleep at the time and had nothing to with the fire. The blaze forced more people to evacuate their properties today and prompted the closure of schools. Email “The man suspected of sparking a huge wild fire in California is facing life in jail”. Feedback on “The man suspected of sparking a huge wild fire in California is facing life in jail”.